The video above tells the story of Japan in nine minutes, and it is glorious. The video is glorious, I mean, though Japan’s history is also impressive. (That said, sensitive readers should be advised that the video has a few swearwords.) This nine-minute history of Japan combines tongue-in-cheek narration and humorous oversimplifications with manic, colorful editing. The end result is not only hilarious, but quite informative. Huh. Maybe this, not the history of Nintendo, is history’s greatest history lesson. I have a strong interest in Japan, which is rivaled only by my lifelong interest in Great Britain. These island nations have a lot in common. Each was once the seat of an empire, and both have made incredible contributions to the arts. Many of my favorite storytellers and creative people are Japanese: Hayao Miyazaki, the legendary filmmaker; Shigeru Miyamoto, who worked on many of the greatest video games ever made; Shūsaku Endō, the writer of such heartbreaking novels as Silence and The Samurai; and many more. 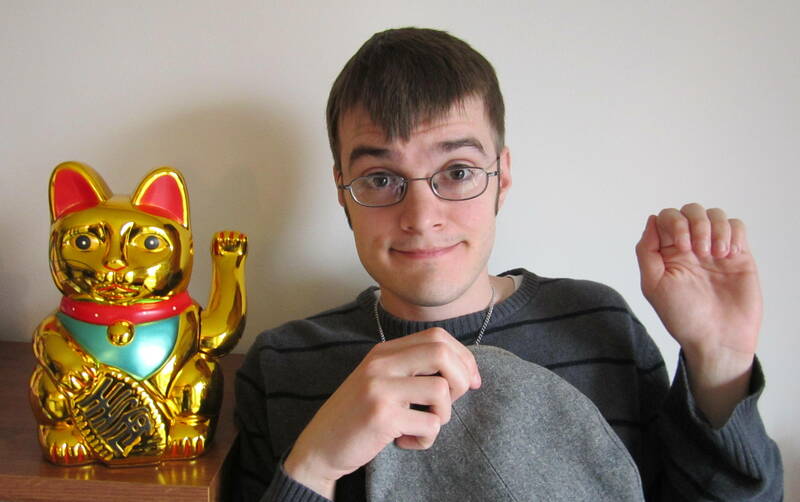 For such a small country, Japan has made a vast cultural impact, giving us everything from anime to beckoning cat figurines. Oh Japan, where would we be without you? I would love to visit Japan someday. I would also love to see Great Britain. Of course, I want to return to Ecuador for a visit, and to visit Canada, and to take an epic road trip around the United States of America. Man, I wish I were free to travel more. At least I have books and the Internet! The Internet is a strange place. No, seriously—the Internet is weird, man. A couple of years ago, a social experiment took place that proved, beyond all shadow of possible doubt, that the Internet is really freaking weird. This experiment, which enlisted hundreds of thousands of participants and amassed many millions of views, pitted anarchy against democracy, wove a surreal narrative of loss and victory, and gave rise to a god. I speak of Twitch Plays Pokémon, that epic microcosm of Internet weirdness. You can find the whole story on Wikipedia, so I’ll provide an abridged version. An anonymous programmer launched a “social experiment” on Twitch, a video streaming website. The experiment streamed a version of an old Nintendo Game Boy game, Pokémon Red, which the programmer modified to be controlled entirely by commands typed into the stream’s chat room. Anyone could join the crowd playing the game by typing in commands, which the game carried out one at a time. As days passed and Twitch Plays Pokémon went viral, thousands of people participated, all typing in commands at the same time to play the game. Chaos and anarchy reigned. It was nuts. As the days wore on, the stubbornness of sincere players was matched against the sabotage of online trolls. Tweaks were made to Twitch Plays Pokémon to inject elements of democracy into the chaos, to the relief of some and the ire of others. Factions of players rose to support either side. 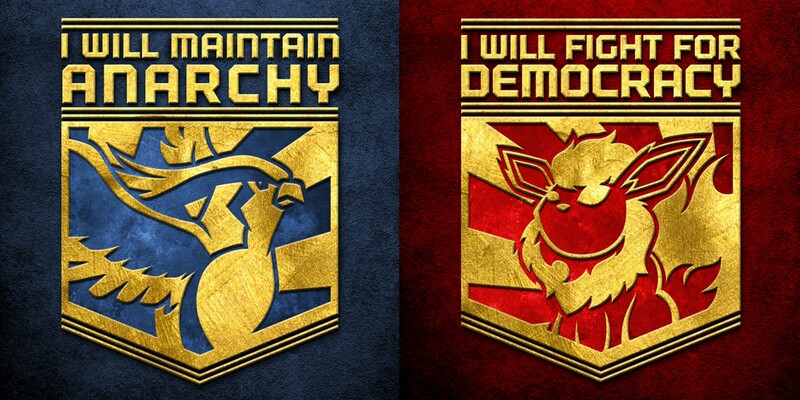 Anarchy and democracy were each assigned specific Pokémon as emblems, and both factions fought for control of the game. The actions of the game’s protagonist, Red, were understandably random and erratic. For example, due to the conflicting commands that poured into the game, Red frequently checked a useless item called the Helix Fossil during battles instead of fighting. This gave rise to the in-joke among players that he was consulting it for guidance. In turn, this led to the concept of the Helix Fossil as an idol or deity. When the Fossil was finally revived into a living Pokémon later in the game, players declared the rebirth of a god. As a narrative emerged from Twitch Plays Pokémon, players and viewers alike watched each new development with the obsessive interest of sports fans on the day of a big game. A number of valuable Pokémon were accidentally released in a debacle that became known as Bloody Sunday. New Pokémon were given names, backstories, and allegiances to the factions of Democracy or Anarchy. Memes, fan art, and in-jokes spread like goofy viruses. All the while, dedicated players kept typing commands into the experiment’s chat box. Red inched ever closer to victory, persevering through all mishaps. 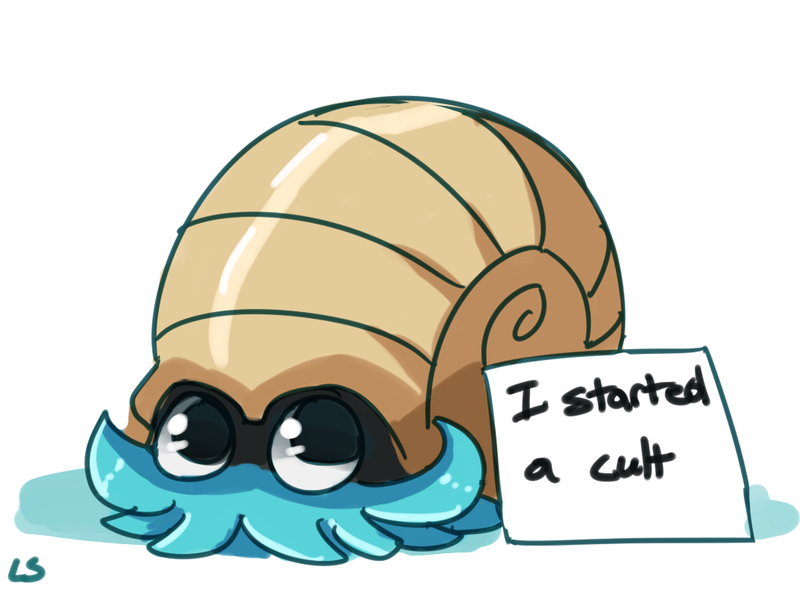 Even the loss of the Helix Fossil, his guiding deity, didn’t faze him. At last, Twitch Plays Pokémon ended in spectacular fashion—Twitch finished Pokémon. I was vaguely aware of Twitch Plays Pokémon as it unfolded, but never wasted time watching Red’s halting progress through the game. A few days ago, however, I took time to read a brief history of the event, and was struck by its glorious weirdness. 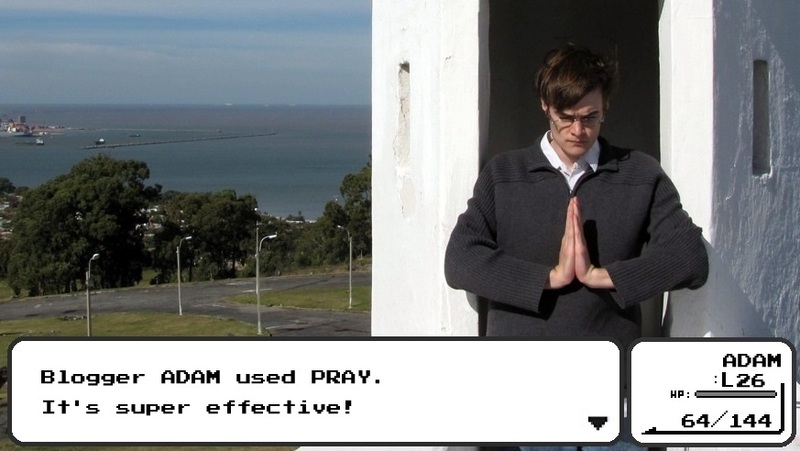 In a way, Twitch Plays Pokémon is a perfect microcosm of many aspects of Internet culture. It was random, unpredictable, and packed with memes and wacky humor. Like YouTube or Wikipedia, it was driven by the involvement of ordinary people. It spawned endless conflicts. Finally, it inspired many intelligent people to treat something totally inane with resolute dedication and seriousness. After playing Pokémon Red, that Twitch channel went on to play (and replay) many other Pokémon games. I’m pretty sure the Twitch Plays Pokémon project is still going, albeit with a diminished audience. Now that the novelty has worn off, most of the viewers and players have moved on to new things. There are always new things. After all, this is the Internet. This post was originally published on April 13, 2016. TMTF shall return with new posts on Monday, September 5! Did you know there was an official Pokémon musical? I haven’t seen it, but I’ve heard most of the songs from its soundtrack, and a few are actually pretty rad. (That said, a few are terrible.) Seriously, though, how cool/weird is it that Pokémon got its own musical? Returning to the Pokémon musical, the song above, “Two Perfect Girls,” is a bouncy ballad of divided affections. Catching random Pokémon must be a lot easier than wooing the perfect catch. In other news, Pokémon Go, an augmented reality game, was released a number of days ago. It has flooded my social media with digitally-enhanced pictures of Pokémon in real-life parks, streets, restaurants, churches, and… bathrooms. The world just got a little weirder, guys. It occurred to me lately that I’ve never invited my readers to submit prayer requests so that I could, y’know, pray for ’em specifically. 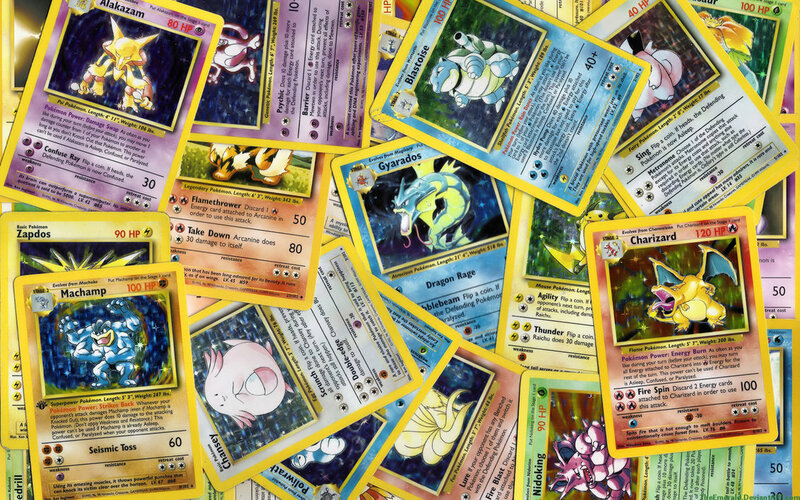 Life should be more like Pokémon… or maybe it shouldn’t. I dunno. If I can pray for you in any way, leave a comment or tweet at me—or, if you want to keep your request private, send me a Facebook message or use TMTF’s Contact page. Now, if you’ll excuse me, I need to get the Pokémon anime theme out of my head. Pray for me, guys. Do you know what this blog needs? Hot guys. This blog needs more hot guys. What? You think hot guys are an inappropriate subject for this blog? Oh, I disagree. I won’t discriminate against anyone for being totally smoking hot. I think this post is long overdue. It’s a burning question: Who are the hottest guys in fiction? There are a lot of potential answers, so let’s warm up with a list of ten. The TMTF List of Top Ten Hot Guys in Fiction! 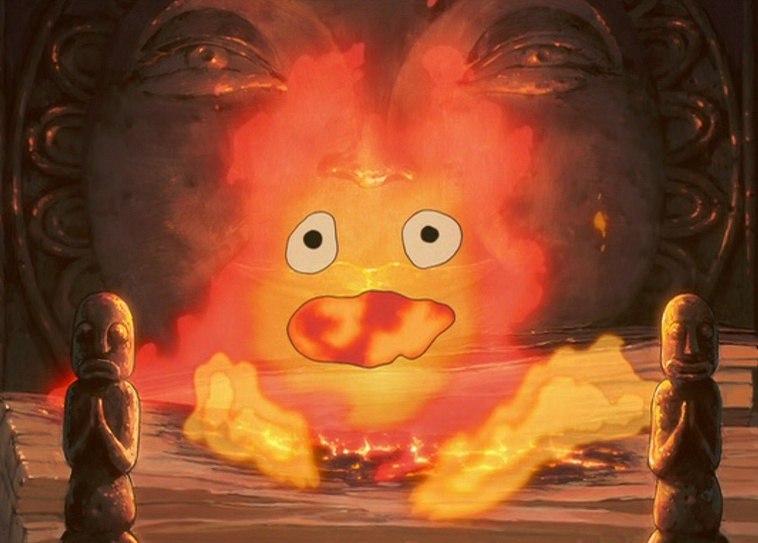 This friendly fire demon is not only helpful and adorable, but also sounds exactly like Billy Crystal. (Wait, he’s actually voiced by Billy Crystal? Well.) Calcifer may not be the hottest guy on this list, but he’s certainly hot enough to fry eggs and bacon. This one is easy. I mean, the dude’s head is literally on fire. Hot guy. No doubt about it. Great movie, too. 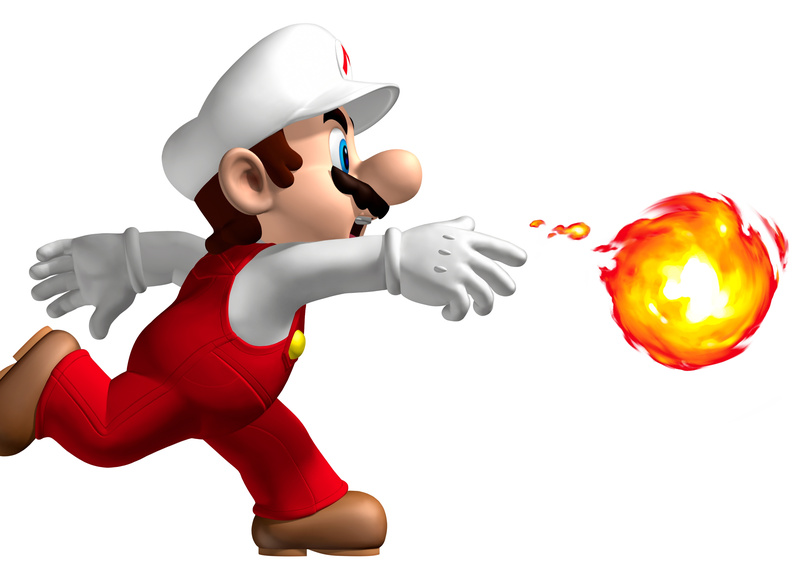 Mario isn’t always hot, but he occasionally throws fireballs. These whirling spheres of flame aren’t terribly large or threatening, except when they get out of hand. (Pun intended. I’m so, so sorry.) When Mario cuts loose with the fireballs, things heat up pretty quickly. Bowser is another hot character from the Super Mario Bros. series, but I chose Mario because this list has quite enough scaly fire-breathing monsters. Speaking of which…. 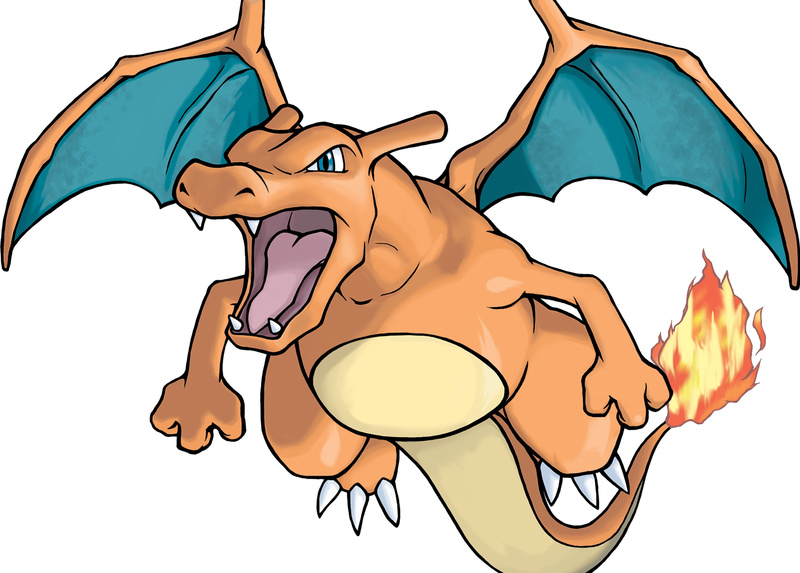 Charizard is labeled a Fire-type Pokémon, and for good reason. His flaming tail is a life sign, like a pulse… but more likely to burn down buildings. Charizard also breathes fire. This crazy cosmonaut hails from my favorite Metal Gear Solid game as a member of the Cobra Unit: a team of supervillains working for a rogue Soviet colonel. 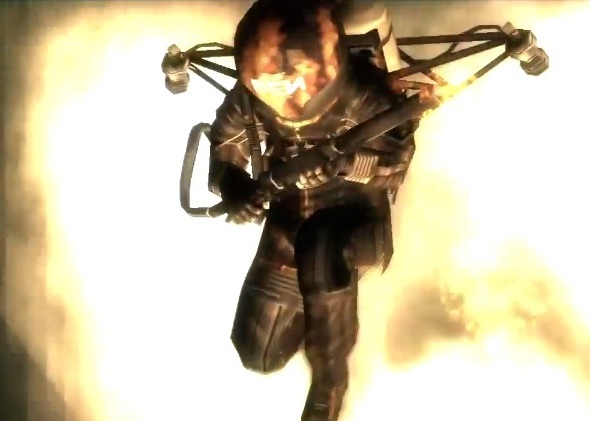 The Fury is a pyromaniac through and through, packing a flamethrower and a jet pack—which, I can only assume, were standard issue for Soviet cosmonauts prior to the sixties. When the Fury finally gives up the ghost, it’s with delusions, explosions, and surreal shrieking heads of fire. So hot. 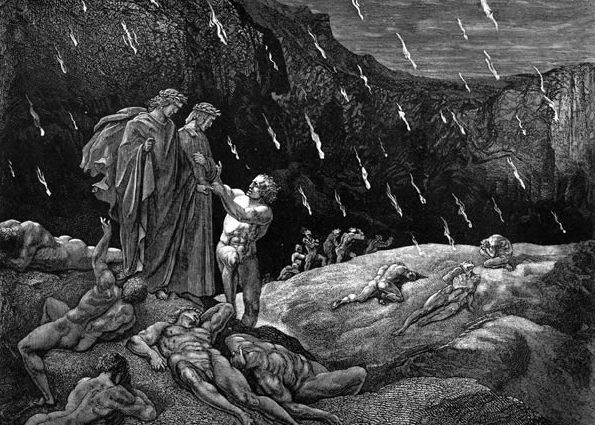 You can bet the sinners in hell’s seventh circle are pretty hot. 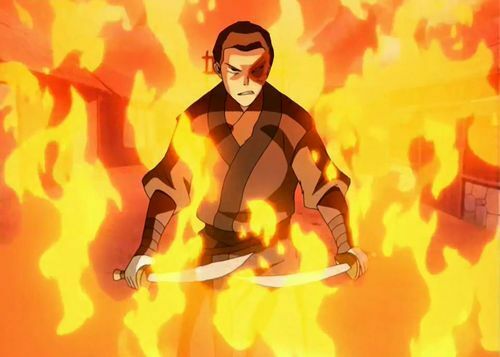 Zuko is the show’s most dynamic firebender, learning from dragons and experimenting with advanced forms of his art. He never did learn to make a good cup of tea, but he’s still a really hot guy. At first glance, Hades looks like a shady uncle to Anger from Pixar’s Inside Out. Don’t be fooled. The smooth-talking god of the dead from Disney’s Hercules often loses his cool. (Pun intended. I’m still sorry.) 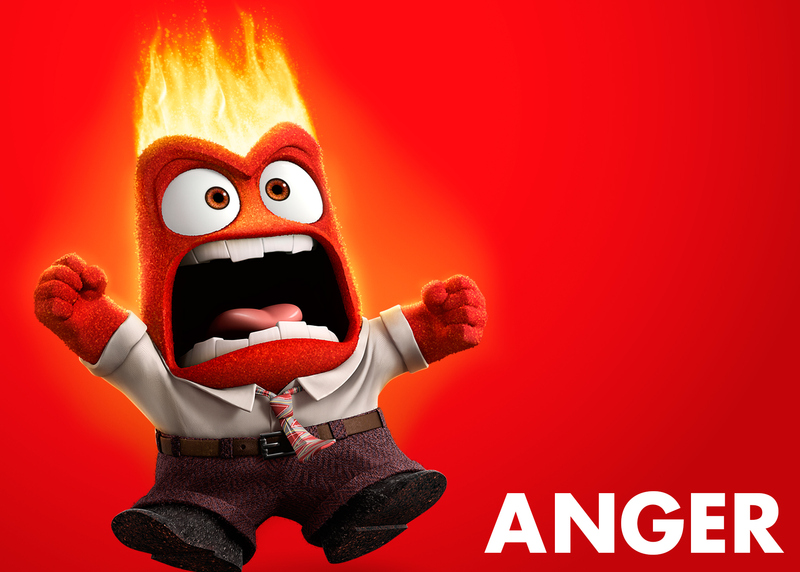 When his temper flares (I’m so, so sorry), those flames rage out of control. 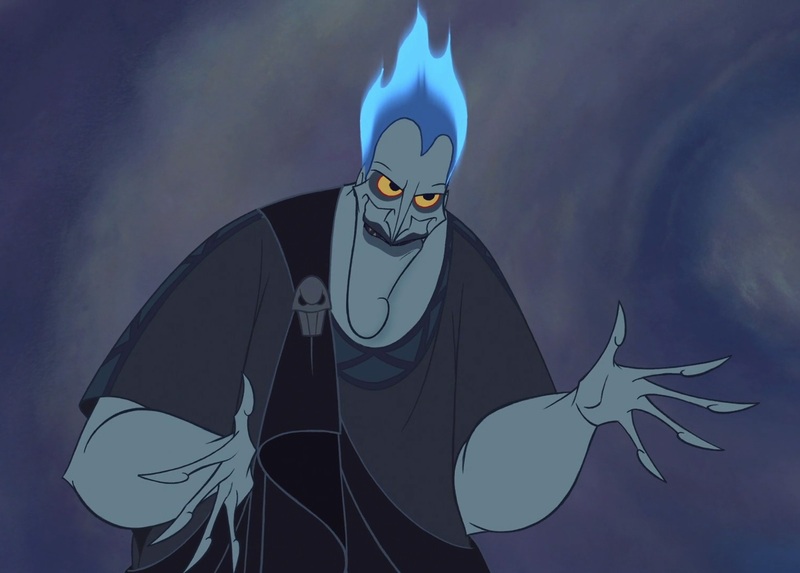 Yes, Hades is a hot guy… but he’s the master of the underworld, so what did you expect? Do I even need to explain this one? Smaug is a dragon. He breathes fire. Dragons breathe fire. Hot. It would have been easy to fill this list with dragons, but I limited myself to one. I chose Smaug because, of all the dragons I considered, he hit the best blend of hotness and cultural significance. (Next time, Toothless. Next time.) 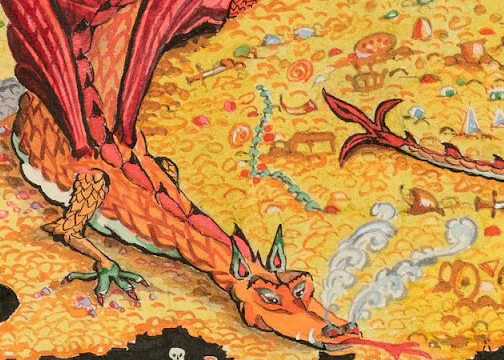 Smaug is far from the only hot character in J.R.R. Tolkien’s books; Sauron is represented by a fiery eye, and Denethor was pretty hot right at the end of his life. 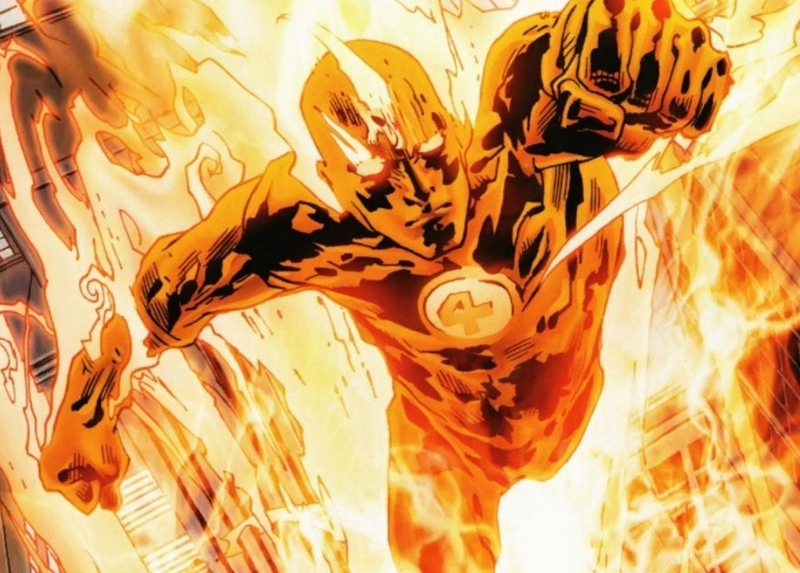 I don’t really have anything to say about the Human Torch, except that he’s literally on fire, burning at impossibly high temperatures that would reduce ordinary men to greasy little piles of soot. I can think of no hotter guy in fiction. Who are your favorite hot guys or gals in fiction? Fire away in the comments! This is truly the face of a mighty hero. When Joseph Campbell wrote The Hero with a Thousand Faces, I bet he didn’t think the blank face above would be one of them. It doesn’t burn with determination, glow with compassion, or shine with righteous resolve. It just looks bored. This face belongs to Saitama, the hero of One Punch Man: an anime series that swept across the geekier corners of Internet a few months ago. Its premise is very simple: Saitama is a superhero who can defeat any foe with a single punch—hence the name One Punch Man. One would expect a show with such an overpowered hero to be dull, but the storytellers wisely play Saitama’s power for laughs. One Punch Man is delightfully self-aware, at times almost satirical, in how it plays around with anime tropes and superhero clichés. I think the show’s irreverent approach is a secret to its massive popularity. For example, a common theme in anime is a hero on a journey to become the strongest. Just look at Pokémon—the show’s theme begins with the words, “I wanna be the very best like no one ever was.” I don’t watch a lot of anime, but I get the impression that many of the most popular, from Naruto to One Piece, revolve around a hero’s quest to be stronger. In One Punch Man, Saitama is already the strongest. (Most of the other characters haven’t realized it yet, but that’s not the point.) As more impressive-looking heroes fail, Saitama destroys his foes with the indifference of a man swatting flies. Saitama doesn’t burn with ambition. He’s bored, good-natured, and a bit clueless. How did he become so powerful? What is the secret that let him surpass hundreds of other superheroes? It took me three years to get this strong. One hundred push-ups! One hundred sit-ups! One hundred squats! Then a ten kilometer run. Every single day! And of course, make sure you eat three meals a day. Just a banana in the morning is fine. But the most important thing is to never use the A/C or heat in the summer or winter so that you can strengthen the mind. There you have it: the secret to absolute physical power. The intro to the show ends with a picture of Saitama dramatically walking home with a bag full of groceries, which pretty much sums up the tone of One Punch Man. With the media saturated with the same old clichés, it’s nice to see a story that flips so many of them on their heads. A few days ago, as I chatted with a dear friend from Ecuador, our conversation turned to his brave but ill-fated attempts to teach me to play a collectible card game. Years ago in Quito, my friend and I sat down with colorful packs of Magic: The Gathering cards. He wanted to teach me to play; I wanted to learn to play. It seemed simple enough. However, there were two things neither of us considered. That first is that I am easily distracted. The second is that I have a deplorable memory: especially in the case of rules and systems. As my friend, whom I’ll call Socrates, explained the rules of the game, I flipped through his cards, looking at the pretty pictures and reading incomprehensible bits and pieces of game instructions. The rules for most collectible card games are only slightly less comprehensible than Finnegans Wake. (I’m sorry; I can’t help making lit jokes occasionally.) The pictures are nice, though! When Socrates and I tried playing a round of Magic: The Gathering, I asked him an average of thirty-seven questions per turn. We gave up in the end, opting for Mario Kart or Super Smash Bros. or some other game that wasn’t so far beyond my feeble intellect. For years, I could hardly sit down at a table without having to brush away collectible cards. My friends in middle and high school collected cards from all kinds of games: Magic: The Gathering, which featured fantasy elements in the vein of Dungeons & Dragons; Pokémon, starring Nintendo’s cutesy Pocket Monsters; World of Warcraft, which had leaped from computers to tabletops; and Yu-Gi-Oh!, which featured the most egregious anime hair I have ever seen. Yu-Gi-Oh my gosh that hair is horrible. I’m not sure what happened to all of my Pokémon cards. They probably slipped away to whatever inscrutable corner of the world swallowed up Amelia Earhart. To this day, I have not forgotten the value of a holographic Charizard. 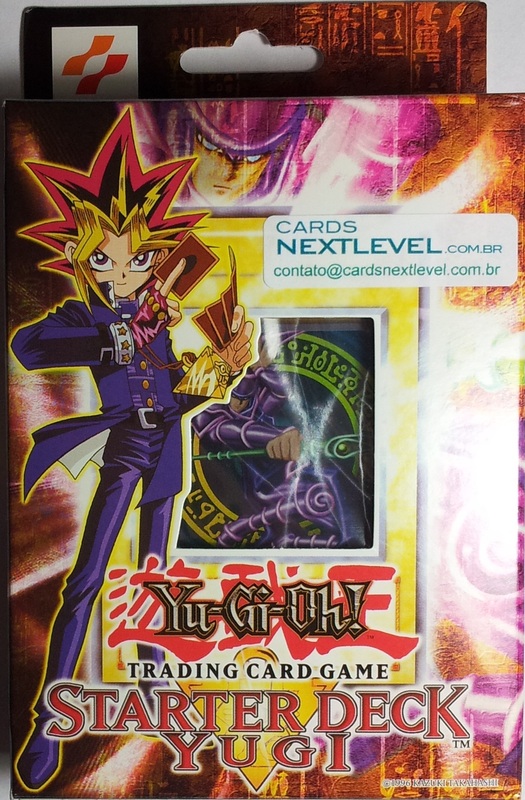 Since I finished high school, collectible cards seem to have vanished from my life, though news occasionally reaches me. I hear there’s a new My Little Pony: Friendship Is Magic collectible card game making the rounds, and Magic: The Gathering seems to be doing well. World of Warcraft cards have been replaced by an online card game. The anime hair in Yu-Gi-Oh! is probably just as bad as it was eight years ago, but I’m too disinterested to find out. I enjoy looking at them, but I don’t plan to buy collectible cards any time soon. My money must go to necessities like rent, gas, coffee, and food. Besides, my life is complicated enough without the unintelligible rules and instructions for card games! If I tried to learn all the rules to a new game, I would probably lose whatever sanity I have left, and end up eating grass like old Nebuchadnezzar. No card is worth that! Well… a Charizard might be; I suppose it depends on whether it’s holographic. This post was originally published on June 8, 2015. TMTF shall return with new content on February 22, 2016! I’m not really a Pokémon guy, but this song will echo forever in the farthest corners of my memory. I suspect most millennials have this song embedded in their collective subconscious, in the same way most people in Generation X know all the words to the theme from Gilligan’s Island. It ain’t easy to escape pop culture. Pokémon is a media franchise with a weird acute accent that no one actually pronounces. It’s all about kids setting out on adventures, befriending cute critters known as Pokémon, and overcoming obstacles in their journeys to become the best they can be. I’m far from the first person to point this out, but Pokémon is actually rather grim. Of course, Pokémon wants to be a fun adventure. However, when you begin to think about it, the series can be easily deconstructed into something far more sinister. The original story of Pokémon starts with a single mother turning her ten-year-old boy out of her home. This child is given a dangerous monster, a Pokémon, as a slave pet. He immediately confines his new friend in a tiny ball, releasing it only to pit it against other Pokémon in violent battles. In some of these, the child forces his Pokémon to attack unsuspecting local wildlife; in others, he picks fights with other kids, beats their Pokémon senseless, and takes their money. Our savage bully young hero wanders the world alone, despite being a vulnerable child whom any adult could easily harm. This foolhardy ten-year-old braves illness, injury, stormy weather, extreme cold, dark caves, biker gangs, and hordes of Pokémon, which he either beats into submission or captures, converts to data, and stores on a dusty computer somewhere. He also tries to bring down an entire syndicate of dangerous criminals. This all sounds pretty bad, right? It gets worse. The hero of Pokémon isn’t a lone psychopath, endangering himself in his relentless quest to assault and capture innocent creatures. He is doing exactly what his society expects him to do. The world of Pokémon revolves around the endangerment of children and exploitation of animals. Yes, I’m taking Pokémon way too seriously, and deconstructing it in ways its creators (probably) never intended. I actually kinda like Pokémon, though it’s far from my favorite thing in the world. (That would be coffee.) Nah, I just find it interesting how quickly such a cheerful story turns grim when viewed from a certain point of view.